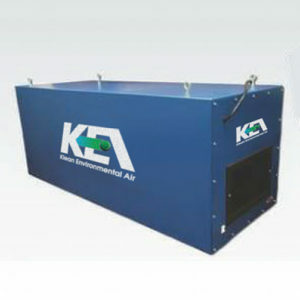 Industrial strength air cleaner, providing efficient removal of irritating contaminants such as smoke, chemical fumes, mist, or dust. 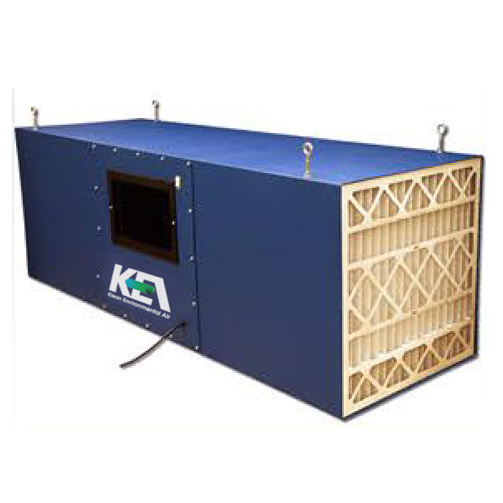 Dirty air enters one side of the collector and is trapped in the filters and clean air is exhausted. Units are suspended from the ceiling with chains/threaded rod or hang on the wall with brackets.